Here are 5 of the most useful Golden Rules to Maximizing Your Time as a Parent by being positive, planning effectively for the long-term and the short-term, slowing down, and learning to enjoy the little things. Golden Rule # 1, Engrain Positivity in Your Words and Actions. The thinking behind doing it like this is to see the good, humorous, fun, and interesting sides of life. I think it was Wayne Dyer that see "If you change the way you look at things, the things you look at change". Try to recognize your difficulties and complaints for what they likely really are, unrecognized or under devoted attention towards dreams and ambitions. After years, these thoughts have distorted and are now altered versions of ideas and hopes that were once very lovely and unique. Be constructive and take hold of the things you can control or influence positively. Be conscious and intentional to speak and think positively right away and going forward. This will have an immediate positive impact on you and your child. Take care of yourself by engaging your mind, body and soul. Remember, positive breeds positive. Golden Rule # 2, Plan with the End in Mind. This can be important because you need something to shoot for. How do you want to be remembered? Set and accomplish goals with intention and have your time so you don’t feel it is for everyone else. Always plan your life with the end results in mind. Tap into who you want to be and what kind of parent you want to be. Write out your Best Possible Future Self which is a real natural way to tap into who you want to be. It can be a very cathartic and uplifting exercise. Who you want to be may not be what was prescribed for you. Start moving in the right direction towards what will make you happier and what brings out the best in who you really are and what special gifts you have to offer and allow your child to foster his or her passions, interests, and gifts as well. Define your dreams: Make a list of the top 100 things to do before you die. It is a fun and interesting exercise that you can carry with you forever. Hopefully you can accomplish all of them! You should have goals for your family but you must also have your own. The bigger the dreams, the more likely you will go to great lengths to accomplish them and the greater the rewards. Make extraordinary memories with your child with small and large events. Do not forget that goals are best when they are SMART (Specific, Measurable, Action-Oriented, Realistic, and Timely). Golden Rule # 3, Positive Short-Term Planning. There are certainly good reasons you will need to do that. Among them are that planning your short and long-term goals will give you more control over your life and enable you to move in the right direction. They should also be in line with your lifelong goals. Make tangible goals: breaking goals up into small steps will make them more achievable as long as you follow them one step at a time. Teach your child and yourself, how to break up goals into tangible steps. It is easy to get overwhelmed but by breaking things down, everything is within reach. Make a daily to do list and follow through: Think and plan ahead each day and then reevaluate your progress at the end of each day. This consistent activity will empower you to feel and be accomplished and it will reduce your stress. Planning and reflecting back are essential components of being productive and focused. Your daily goals should be a short list that is in line with your overall goals. Golden Rule # 4, Slow Down and Enjoy the Little Things. There are various ways to accomplish this, including appreciating the things in your life that do work and take out the things that drag you down. Be Happy and Be Appreciative. Appreciate what is working: Show gratitude and appreciation for yourself, towards your child, and others. You can do random acts of kindness for the people in your everyday life. Regularly and mindfully recognize and write three blessings in your day to boost your happiness. Consistently Shed: Cut out time stealers and things that bring you down. Cut out the tasks that make you unhappy or that are unnecessary. Delegate or outsource your least desirable or time consuming tasks. Prioritize and make adjustments to add what is beneficial and subtract what is not. Make a list of things you need to do that you either have been putting off due to challenge or dislike of the task. I believe it was Tim Ferriss, the writer of the 4 Hour Workweek that said to take your yearly salary or your income budget, take off two zeros and then divide by two and that is your hourly rate, can you possibly afford an errand service once a week or once a month to do a chore that brings you down? Journal: Journaling can help you to process your thoughts and see your progress over time. You can unload your worries and continue to build up and evaluate who you are and what is working. Golden Rule # 5, Have Fun with Your Child and on Your Own. You may do this by integrating some form of fun every day, be sure to laugh and smile and bring more joy into your life and laugh with your child. Be sure to set aside time on things that are fun to you. This can be meditation, exercise, writing, reading, or something else. Just 30 minutes can give you back your day and free up your mind, your heart, and your attention. If you are heavily engaged in something or thinking about something you need or want to do, you may be a little distracted and not be able to devote genuine attention. Be sure to define what you want to accomplish in your day and make it happen as part of your daily goals. Allow your child to do something that is fun and play a game of his or her choice. Make quality family time a priority and now that you are freed up mind, body and soul, you will all benefit. Do fun activities out of the house with your family which can mean riding bikes, fishing, playing a sport, going to the bookstore or the zoo; whatever you do, just be sure to keep it easy and enjoyable. Make ordinary tasks like cooking and cleaning fun and involve your child. Incorporate something you both like, which can mean simply playing a movie or song in the background. Be sure to laugh and smile and bring more joy into your lives. This step can be really critical because it brings you back to childhood and preserves your child's positive outlook and childlike perception which will bring you even closer. Read children's stories to your child. For free children's moral stories and videos, check out www.shortmoralstoriesforkids.com. Here you that you can watch and discuss stories and their values together. There are many ways to have fun without leaving your home or spending money, just do something you both enjoy; spend time listening to your child and have a meaningful dialogue. Whole-heartedly follow these golden rules to maximizing your time as a parent. Inspire yourself and your family and be amazed with the results. If you or your child need a kickstart of inspiration, or are feeling overwhelmed, check out the video below on how to take on challenges by taking one step at a time. Write out your short-term, long-term, and lifelong goals. List your blessings and journal. 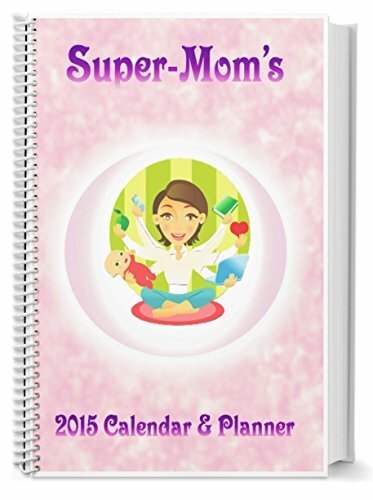 Plan a wonderful, fun (and organized) life for you and your family.